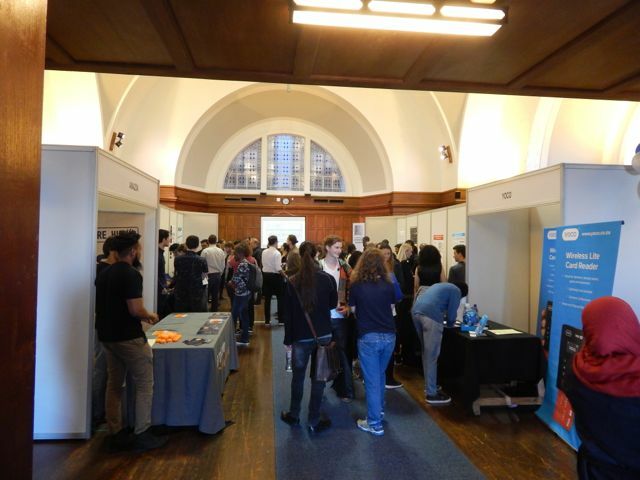 The annual Department of Computer Science Open ­Evening took place on Thursday October 5 and was well attended by industry representatives, academics from nearby universities, and fellow students and academics from UCT. The 60 CS honours students showed off their group projects with posters and demos (accessible here) and two of them were presented to the attendees. 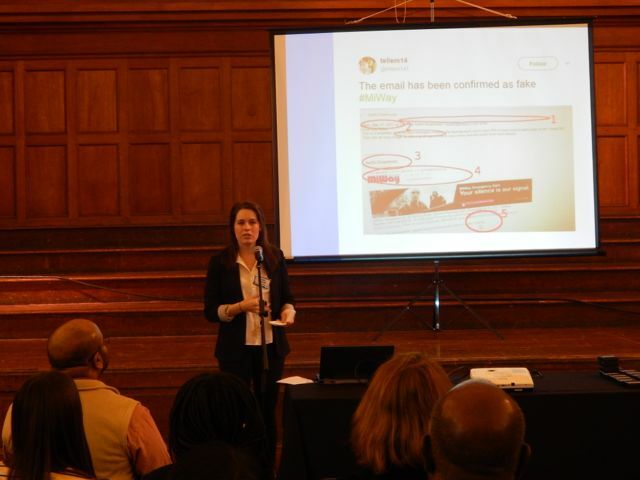 The first presentation was on fake news detection on Twitter (project members: Kristin Kinmont, Wei Chi Lu, and Shaheen Karodia) and the second on teaching sign language (project members: Anna Borysova, Shaheel Kooverjee, and Erin Versfeld). 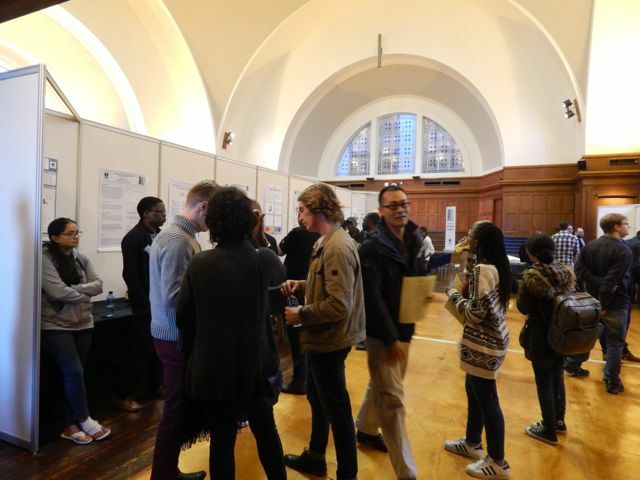 The postgraduate students mainly presented posters describing their scope and the scientific breakthroughs they have made. 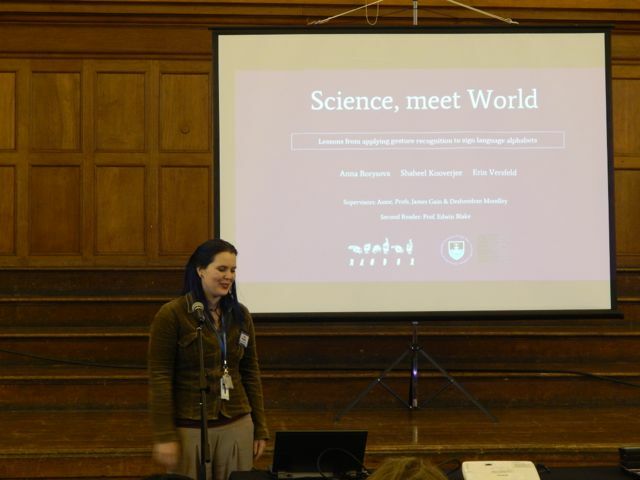 Their research covered a wide range of topics, including Artificial Intelligence, Computer Games and Graphics, Digital Libraries, Distributed Computing, Human-Computer Interaction, Information and Communication Technologies for Development, and more. This evening is also our special event to present awards to students for their distinguished achievements. These include the Class Medals for 2016, i.e., the single top student in that computer science course, and special prizes sponsored by industry. Class sizes in 2016 ranged from about 50 (games, honours) to 850 students (first year, first semester), so they are impressive accomplishments indeed. 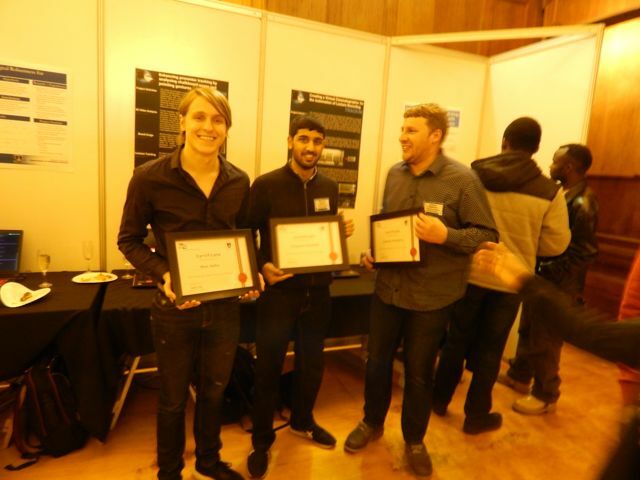 The BSG prizes are awarded for best CS2 student, Jonathan Alp, best CS3 student, Tashiv Sewpersad, best Honours student, Brian McGeorge, and for the best Honours project, which was carried out by Charles Fitzhenry, Max Hahn and Tanweer Khatieb for their work on natural presenter tracking in video. 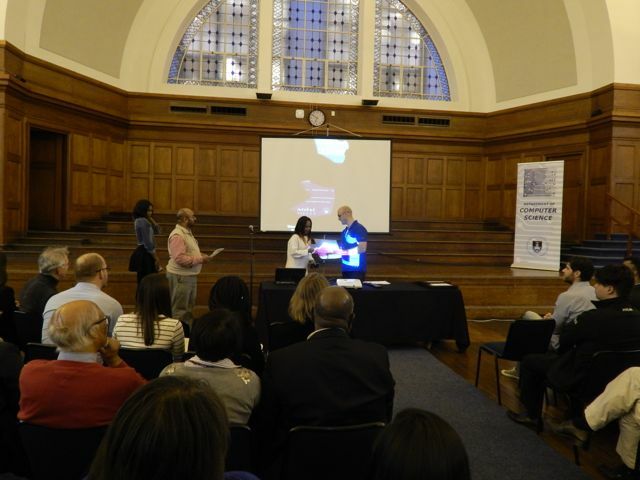 The Entelect awards focus on achievements outside the classroom; they were the Achievement Award for Hamandishe Mathivha; the Social Responsiveness Award was awarded to Ednecia Matlapeng and Onalerona Mosimege, and the Best Research Paper Award was shared between David Shorten and Maletsabisa Molapo (supervised by Geoff Nitschke and Melissa Densmore, respectively). 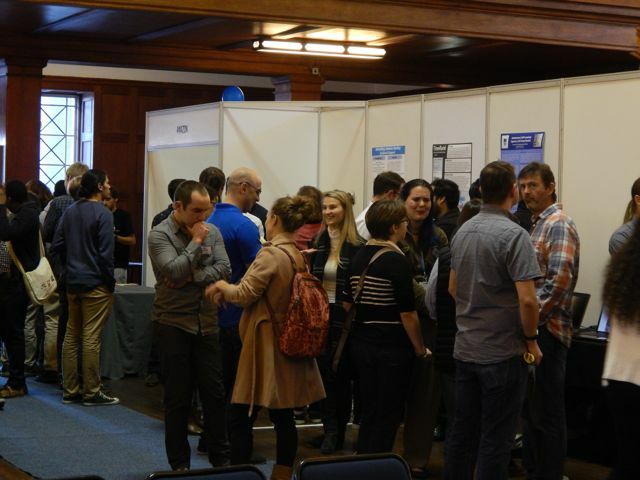 If you haven't attended this year and you think you’ve missed out (which you did): there will be another CS Open Evening next year, with new honours projects, more novel scientific contributions, and new prize winners.